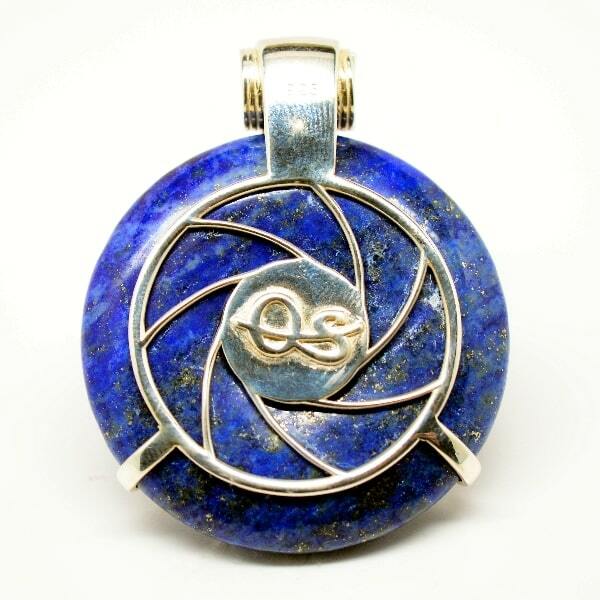 Feel like you’re gazing into the eye of the heavens backed by a starry night when looking at this beauty? 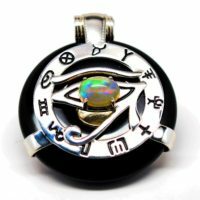 Metaphysically speaking, you are! 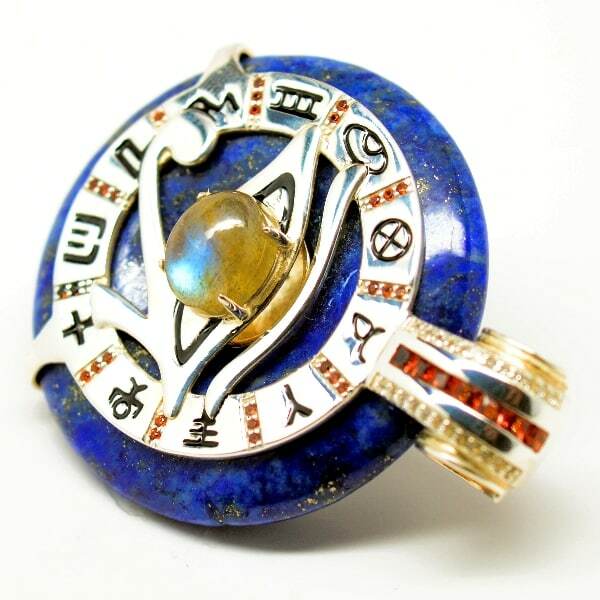 Lapis Lazuli is considered a cosmic stone associated with the Egyptian Sky God Horus, whose blue labradorite eye emits both the lunar and radiant energies of the sky. 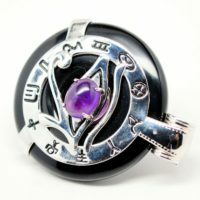 Those seeking to cleanse and awaken the throat, third eye and crown chakras for greater clarity and communication abilities amid both the earthly and divine realms. 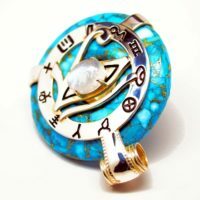 The guidance and protection of the Eye of Horus is propelled with the addition of 11 powerful symbols and garnets that help eradicate negative energies that can impede the mind, body, spirit journey. 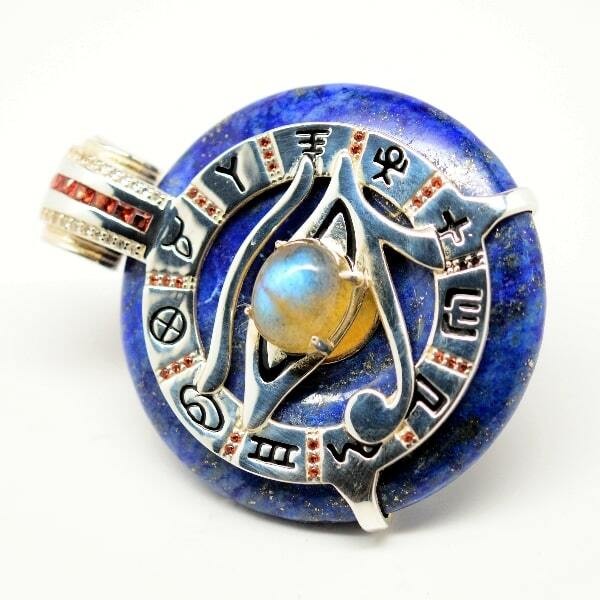 This Lapis Lazuli w/Labradorite Eye features an updated bail with garnets and white topaz and is fully reversible with an attractive back logo design. 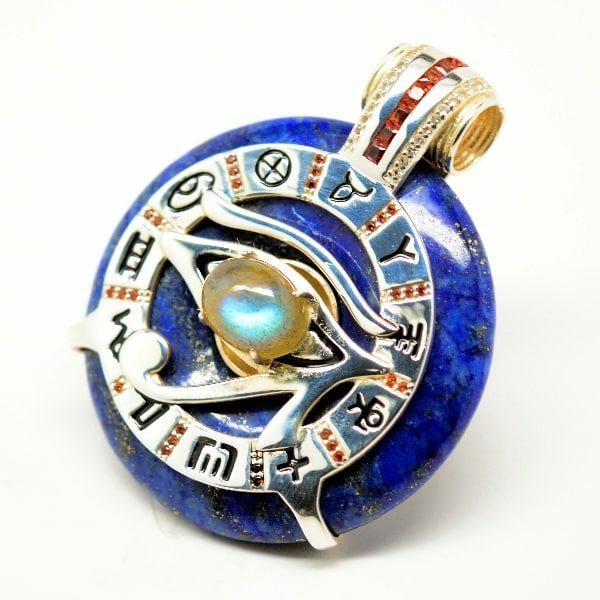 Learn more about the Sky God Horus and the meaning of the pendant’s symbols here. 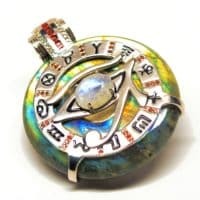 Please Note: If you have any serious medical condition, wear a pacemaker, or have any artificial surgical implants that may be negatively affected by magnetic devices, this device may not be for you. 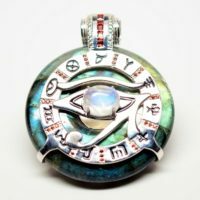 Please consult a physician. 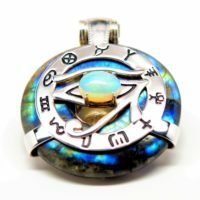 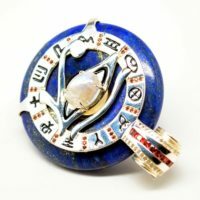 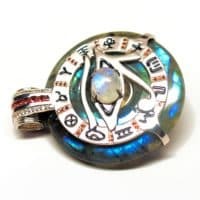 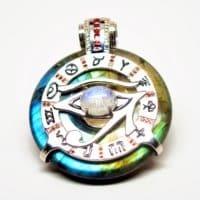 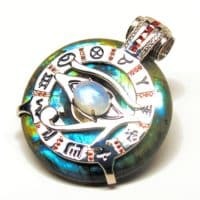 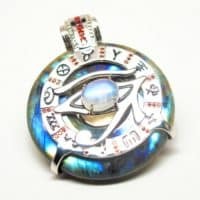 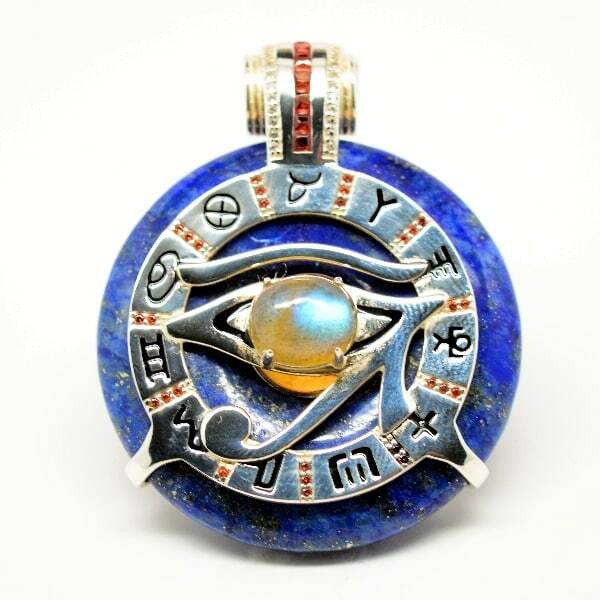 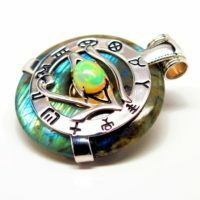 Be the first to review “Lapis Lazuli & Garnet w/Blue Labradorite Eye – Horus Egyptian Amulet” Click here to cancel reply.